Both the physical exhibit and this digital exhibit celebrate the 200th anniversary of one of the most influential novels ever written. 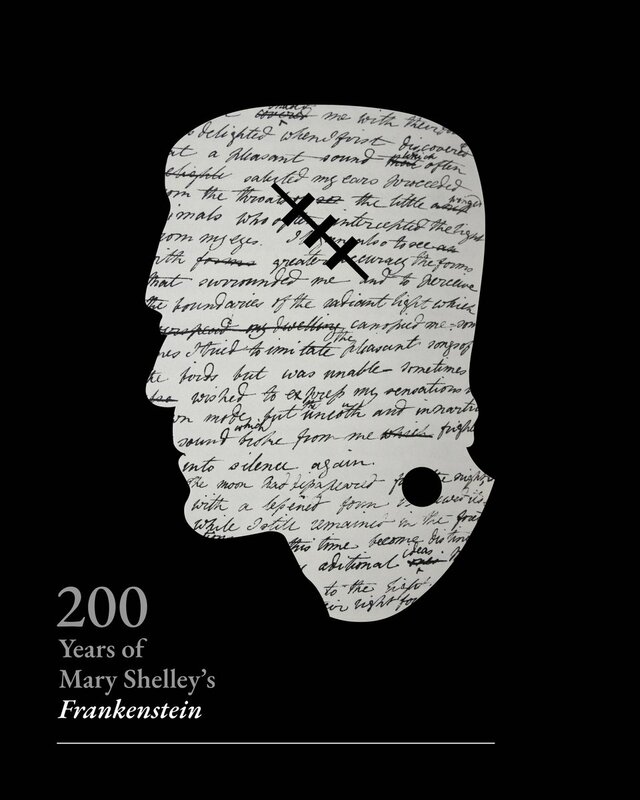 In 1818, Mary Shelley published Frankenstein: or, The Modern Prometheus, which set the standard for what has become a classic horror and science-fiction template: the groundbreaking scientific experiment that goes terribly wrong. Shelley’s epistolary novel originated during the summer of 1816, when Mary and her husband Percy Shelley joined a circle of friends at Lake Geneva, one of whom was Lord Byron. It was Byron who proposed that each person write “a ghost story” to pass the time. Considerably more radical than Byron’s suggestion, Mary’s story was completed the following spring, when she was nineteen years old, and published anonymously on January 1, 1818. She describes the creative process (and her genius) in the 1831 Introduction to the second edition — an introduction that echoes those watery yellow eyes of the creature upon its creation. Visit the SJSU exhibit in-person at the 5th floor exhibit space (outside the elevators), Dr. Martin Luther King, Jr. Library, San Jose State University. A collaboration among all of the San Francisco Bay Area regional partners and their special collections and rare book libraries resulted in both in-person, physical exhibits on each campus as well as digital, online versions.